By Rachel Held Evans, on March 19, 2012. Today we jump back into our series on learning to love the Bible for what it is, not what we want it to be, with a new book—Scripture and the Authority of God: How to Read the Bible Today by N.T. Wright. 1. In what sense is the Bible authoritative in the first place? 2. How can the Bible be appropriately understood and interpreted? 3. How can its authority, assuming such appropriate interpretation, be brought to bear on the church itself, let alone on the world. These are the questions he endeavors to address in throughout the book. 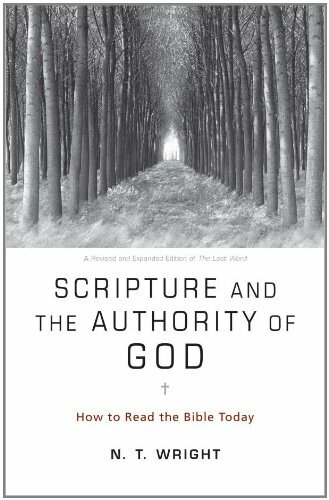 However, both Smith and Wright begin with the same critical assumption—that ultimate authority belongs to the Word-Made-Flesh, Jesus Christ. This is what the Bible itself teaches, says Wright. And then Wright uses one of his wonderful metaphors to explain what he means. I also love the idea of unpacking all of these suitcases to see what we really mean when we use these words, for often, that is where the most important and constructive conversations can be found. This is Wright’s thesis, but it’s just the beginning of the conversation. There is much more unpacking to come, and I look forward to doing that along with you! What do you think of Wright’s thesis? Does anyone else get a bit of a nervous tick when we talk about ‘authority’? 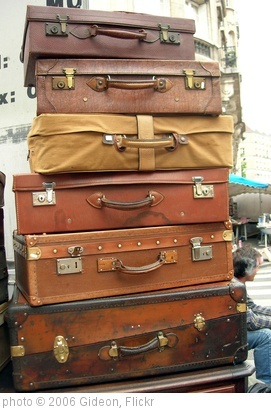 What are some other Christian ‘suitcases’ you would like to unpack?